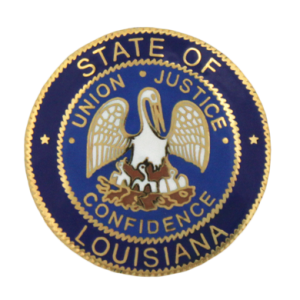 These lawyers were the subject of Louisiana Supreme Court disciplinary orders or Louisiana Attorney Disciplinary Board recommendations that were made public during the month of March 2018. Steven C. Gill. The court denied the petitioner’s application for reinstatement and ordered that he cannot reapply for reinstatement until at least three years have passed from the date of judgment. Eric O. Person. The court suspended the respondent for six months, all deferred, conditioned upon completion of two-years of supervised probation. The respondent mishandled his client trust account and had an improper business relationship with a client. Gregory J. Noto. The court suspended the respondent for six months, fully deferred, subject to a six-month probationary period. The respondent engaged in conduct involving a conflict of interest. James E. Moorman, III. The court reinstated the respondent, subject to a one-year period of supervised probation. The petitioner had previously neglected legal matters, failed to refund unearned fees, and failed to properly supervise his nonlawyer staff during a severe depressive episode. James Casey Fos. The court suspended the respondent for three years. The respondent filed a frivolous claim, presented a request for a temporary restraining order in an improper fashion, and commingled and converted client funds. John Arthur Brittain. The court disbarred the respondent, retroactive to the date of his interim suspension. The respondent engaged in numerous instances of serious professional misconduct, such as converting client funds. Joseph Aiavolasiti Kott. The court transferred the respondent to disability inactive status. Laetitia Black. The court suspended the respondent for one year, with all but six months deferred. The respondent neglected a legal matter, failed to communicate with a client, failed to return unearned fees, and failed to cooperate with ODC investigations. David L. Bell. The court suspended the respondent on an interim basis. Greggory Swafford. The court suspended the respondent for six months, with three months deferred. The respondent formed an attorney-client relationship and failed to complete legal work, failed to respond to his client’s requests for information, and failed to timely inform his client that he would not complete the representation. W. Glenn Soileau. The court suspended the respondent on an interim basis. Louise Ann Klaila. The court suspended the respondent for one year and one day. The respondent commingled and converted client funds, neglected a legal matter, failed to communicate with a client, and failed to return unearned fees. Christa Hayes Forrester. The court suspended the respondent for six months, all deferred, with one year of supervised probation. The respondent neglected a legal matter and failed to communicate with a client. William M. Magee. The board recommended that the respondent be disbarred. The respondent engaged in dishonest, fraudulent, and deceitful conduct. The respondent confected false quitclaim deeds, made false statements to the court concerning these deeds, and submitted false deeds into the court record. Edward Bissau Mendy. The board recommended that the respondent be permanently disbarred and pay restitution to his client. The respondent failed to perform legal work after accepting fees, failed to return unearned fees, and failed to keep his attorney registration information up-to-date. Bruce C. Ashley, II. The board recommended that the respondent be suspended for eighteen months, fully deferred, conditioned upon entering into a JLAP contract for five years. Patrick A. Giraud. Hearing Committee #37 recommended the suspension of the respondent for one year and one day, fully deferred, conditioned upon the respondent’s compliance with his JLAP agreement, regular auditing of the respondent’s trust account, and completion of the LSBA’s Trust Accounting Program. Felix Anthony DeJean, IV. Hearing Committee #15 recommended the suspension of the respondent for six months. The respondent was convicted of simple battery, which reflected adversely on the respondent’s fitness as a lawyer. William Christopher Beary. The Hearing Committee recommended the suspension of the respondent for one year and one day, fully deferred, conditioned upon the respondent’s continued diagnostic monitoring (that is, random drug testing) for a two-year period. The respondent violated the Rules of Professional Conduct by possessing cocaine, although there was no evidence that the respondent had a substance abuse disorder and no evidence that his past conduct harmed any client or the public.